and a tremendous 900 man hours? The answer is a beautifully plated dish of Deconstructed Saffron Pasta Salad with Autumn Vegetables. 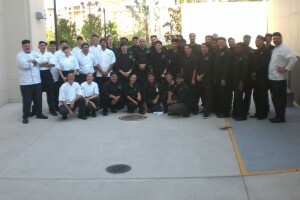 As always, we tip our hats to the team of chefs who gracefully executed this event! At Puff ‘n Stuff Catering & Events, we happily provide the same level of enthusiasm and attention to detail for each event we produce. 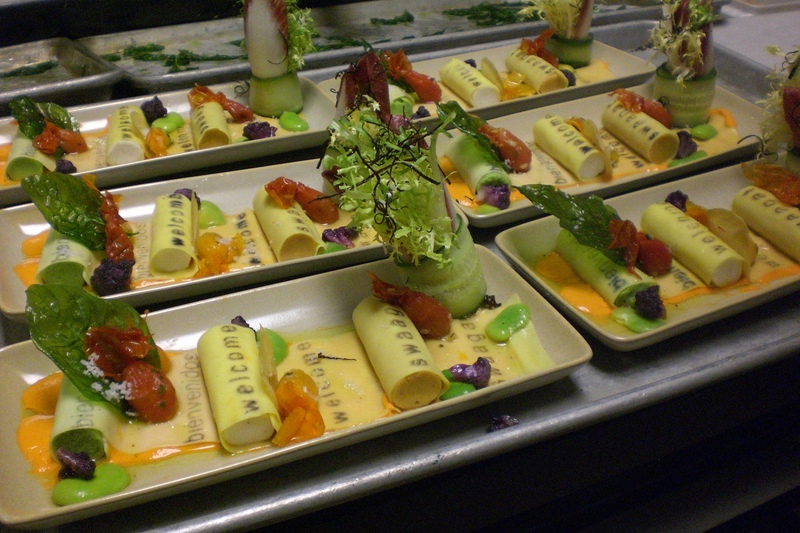 From 20 person lunches, to 2,000 person galas, our mission is to passionately perfect your event! This entry was posted on Monday, October 25th, 2010 at 8:46 am	and is filed under Catering, Catering Reviews, Corporate Catering, Culinary, Menu Ideas, Orlando Caterer, Orlando Catering. You can follow any responses to this entry through the RSS 2.0 feed. You can leave a response, or trackback from your own site. It is good that you assisted a well known hotel client to produce the “welcome” course for a 2,100 person gala dinner.